Robertson said they are permanently discontinuing those products and eliminating that machine. “This was a very small portion of our product line,” he stated. The recall does not include any of the half-gallon products or any of our other products other than those which were recalled, Robertson said. 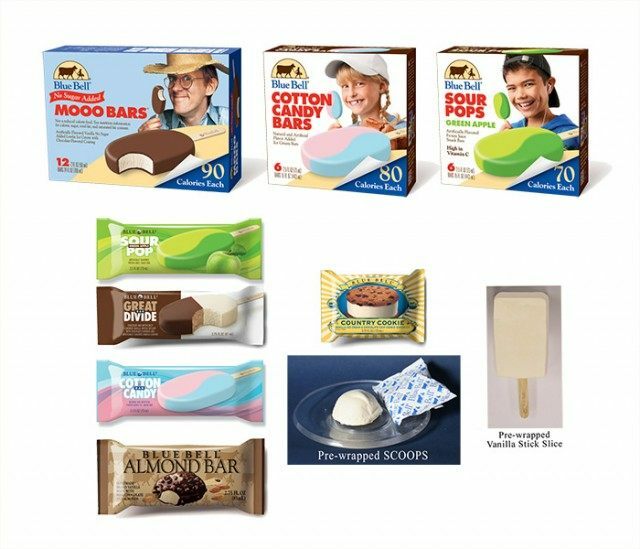 The federal Food and Drug Administration said listeria bacteria were found in samples of Blue Bell Chocolate Chip Country Cookies, Great Divide Bars, Sour Pop Green Apple Bars, Cotton Candy Bars, Scoops, Vanilla Stick Slices, Almond Bars and No Sugar Added Moo Bars, according to an Associated Press article. Blue Bell handles all of its own distribution and customer service, Blue Bell CEO Paul Kruse said in the AP article, so it moved to pull suspect products from shelves, as soon as it was alerted to the South Carolina contamination Feb. 13. Kruse did not suspect handling of those products after they left the Central Texas creamery. “The only time it can be contaminated is at the time of production,” he said. That contamination has been traced to a machine that extrudes the ice cream into forms and onto cookies, and that machine remains off line, he said. All products now on store and institution shelves are safe, Kruse said.